Guests have travelled forward in time to catch the much-anticipated thriller Looper before its release date. 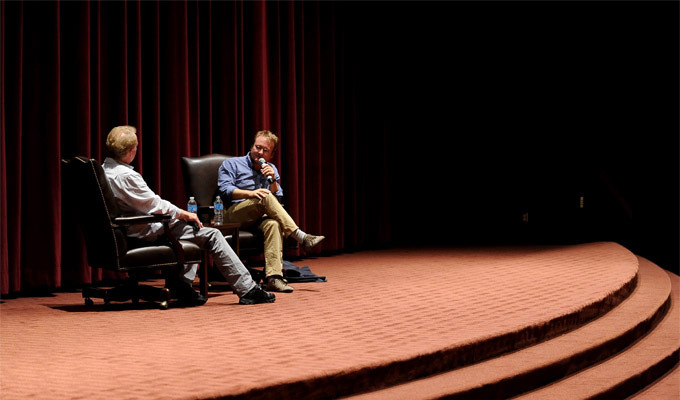 Or, they may have simply been members of the SCA Network, which hosted the film on September 16 in Norris Auditorium. 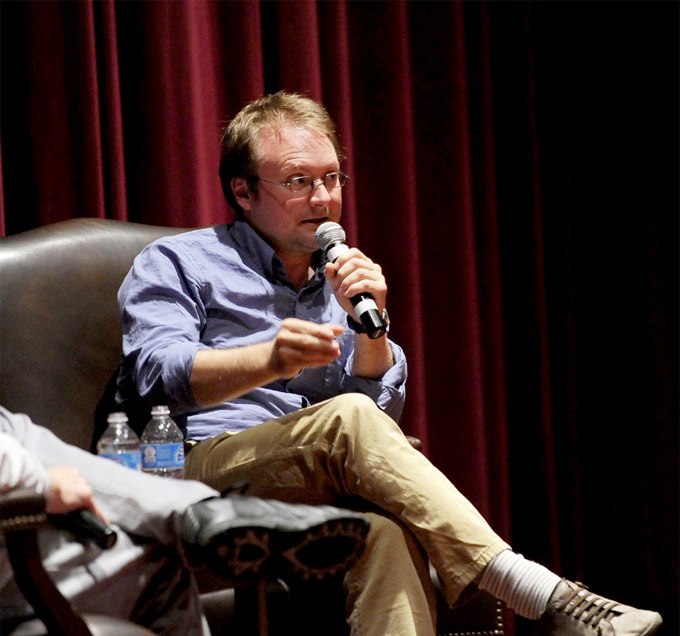 Following the screening, Chair of the Writing Division Jack Epps, Jr. moderated a Q&A with SCA alum Rian Johnson (Brick, The Brother’s Bloom), who both wrote and directed the feature. The event commenced with a private alumni and student mixer in the SCA Courtyard. In the futuristic action thriller Looper, time travel will be invented - but it will be illegal and only available on the black market. When the mob wants to get rid of someone, they will send their target 30 years into the past, where a "looper" - a hired gun, like Joe (Joseph Gordon-Levitt) - is waiting to mop up. Joe is getting rich and life is good... until the day the mob decides to "close the loop," sending back Joe's future self (Bruce Willis) for assassination. Looper opens nationwide on September 28.